Ramesh Virani, a 45-year-old farmer from Bhavnagar, Gujarat, started using neem-coated urea (NCU) for his 4.4 hectares of cotton farm last year. “Cotton crops are more susceptible to pest attacks, which NCU can counter effectively,” he says. But scarcity due to black marketing forced him to revert to the ecologically unsustainable normal urea. Millions of farmers like Ramesh will not have to suffer any more. The Union government’s recent decision making it mandatory for domestic manufacturers to produce 100 per cent NCU has come as a relief to them. Urea from now on will be coated with neem oil. The move will not only benefit the environment and improve farmers’ lives, but curb illegal urea diversion for industrial use. “It is a very bold move, which will have far-reaching impacts,” says Satish Chander, director general, the Fertiliser Association of India (FAI). NCU will benefit the environment in more ways than one. The normal urea is a highly soluble and volatile material and is up to 40 per cent less efficient than NCU. NCU, on the other hand, acts as a physical barrier, slowing down the process of solubility and volatility. “Its anti-bacterial process slows down the melting process. This means it stays in the soil for longer periods strengthening its effectiveness,” says Muneshwar Singh, project coordinator, Indian Institute of Soil Science (ICAR-IISS), Bhopal. NCU also reduces the amount of nitrogen released from the soil. “NCU destroys the Roundworm parasite found in the soil and kills the bacteria which de-nitrifies and produces nitrogen in the atmosphere,” says Ramesh C Saxena of Neem Foundation, a Gurgaon-based non-profit. “Because of the high pH value of normal urea, it is quite volatile and evaporates fast,” says Singh. “If it is applied on sandy soil, rainwater washes it off. If the texture of the soil is light, then it percolates, not only making its use ineffective, but contaminating the groundwater too,” adds Singh. On the other hand, the use of NCU will increase production—for instance, rice grain yields could increase by 6.3-11.9 per cent over normal urea, says the Indian Agricultural Research Institute (IARI), New Delhi. Studies carried out by IARI reveal the use of NCU will reduce consumption by 10-15 per cent. “Less usage will reduce the levels of nitrous oxide and other harmful gases, even during the production of urea,” says G V Ramanjaneyulu, executive director, Center for Sustainable Agriculture, Secunderabad. Reduced consumption and curbing diversion will lead to subsidy savings of Rs 6,400 crore annually. As the government plans to increase production, imports too will decrease—about 10 million tonnes is imported annually as domestic production is unable to meet demand (see ‘Urea scape’). Procuring neem oil for NCU also isn’t a problem. According to Neem Foundation, India has 22.2 million neem trees, and one tree can produce a minimum of six litres of neem oil. It takes nearly four litres of neem oil to coat one tonne of urea. “However, lack of proper supply mechanisms may hurt producers initially,” adds Saxena. The demand for mandatory production of NCU has been there for long. But successive governments never paid heed to scientists. Though experiments to produce NCU started way back in the 1960s, its implementation was always fraught by political delays. In 2007, a group of ministers (GOM) recommended mandatory production of NCU, but the then chemical and fertiliser minister, Ram Vilas Paswan, turned down the proposal. In 2008, the ministry allowed production (not mandatory) of NCU up to 20 per cent. In January 2010, the ministry increased this to 35 per cent. And in March this year, the NDA government made it mandatory for domestic manufacturers to produce 75 per cent NCU, which was further extended to 100 per cent on May 25. It will now be sold to farmers at Rs 5,628 per tonne. The government spends over Rs 70,000 crore annually on fertiliser subsidies. 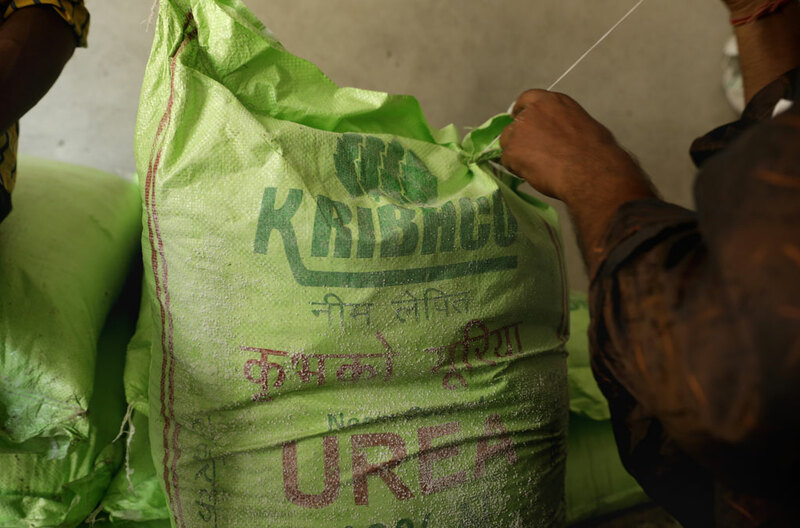 For urea, it provides a subsidy of Rs 15,000 per tonne. “Agricultural urea can be used for industrial purposes, making it prone for illegal diversion, whereas industrial urea cannot be used for agricultural purposes,” says D S Yadav, director (marketing), FAI. Estimates reveal over one million tonnes of agricultural urea are illegally diverted to industries annually. “Industries use urea to prepare formaldehyde, which is used in vaccines, furniture, flooring, automobile industries and packaging materials among others,” says S Nand, deputy director general, FAI. “Fortification of urea through neem coating will make it unfit for industrial use,” adds Yadav. “Urea is so heavily subsidised that it is being illegally exported to neighbouring countries such as Bangladesh, Pakistan, Nepal and Myanmar. Pakistan and Bangladesh provide urea to their farmers at US $300 per tonne (about Rs 19,280). It is natural that illegal exports will continue,” adds Nand. Be that as it may, the neem-coated ecological transition is a much-needed bitter pill for Indian agriculture.